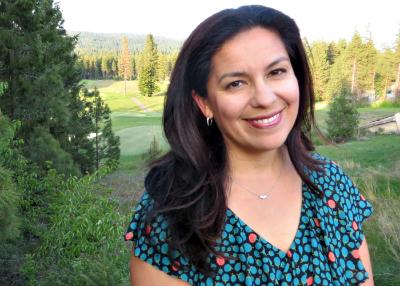 Sylvanna M. Falcón, assistant professor of Latin American and Latino studies at UC Santa Cruz. In a new book, Sylvanna M. Falcón, assistant professor of Latin American and Latino studies at UC Santa Cruz, takes on the world’s largest political and humanitarian organization: the United Nations. 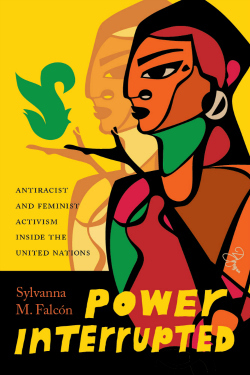 She examines how since the 2000s, antiracist feminists from the Americas offer a new and critical perspective to the problem of racism at the UN. shows how transnational feminist activism can offer needed nuance to important global issues. In her introduction, Falcón recalls a memory from the 2001 World Conference against Racism, Racial Discrimination, Xenophobia, and Related Intolerance (WCAR) in Durban, South Africa– a moment so powerful that it inspired her research for the decade to follow. Falcón was a participant at the Non-Governmental Organization Forum Against Racism, a gathering of global activists and advocates who came together to participate in the 2001 WCAR. She attended the forum’s closing ceremony. Fidel Castro, then the Cuban president, delivered the closing address. As he made his way to the stadium stage where four men waited for him, a woman in the audience yelled “Where are the women?” Instantly, thousands of other women attendees including Falcón and her friends joined the outcry and shouted the same question. Falcón argues that historically, the UN examined social issues independently and as a result, narrowly. Through extensive research in the UN archives, Falcón saw that for decades the UN handled so-called “women’s issues” in UN women’s committees or at the world conferences focused on women. Similarly, the UN viewed problems with race as entirely detached from gender. As a result, it excluded critical issues that disproportionately impacted women of color across the world. But according to Falcón, race, gender, and class overlap. She says they intersect so profoundly that utilizing distinct, bureaucratic categories and committees is an inadequate way to understand the full scope of human rights. “Gender analysis matters when it comes to understanding racism in its totality,” writes Falcón. When a feminist approach is used to explore issues of race, the problem becomes more inclusive and representative, which is vital to effect social and political change. As Falcón demonstrates, inclusivity is impactful when discussing the political significance of human rights today. Many of the communities discussed in her book – women of African descent and indigenous women, for example–had no place at the table during negotiations involving the Universal Declaration of Human Rights in 1945. “When their voices and their issues become now central and visible to our contemporary analysis about racism, then the global discussion about human rights becomes much more meaningful,” Falcón says. Falcón joined UC Santa Cruz in 2010 after having completed a two-year University of California Presidential Postdoctoral Fellowship with the Women's Studies Department at UC Riverside. In 2008 she testified at the United Nations in Geneva about sexual violence against migrant women at the U.S.-Mexico border and served as a co-consultant to the UN Special Rapporteur on Violence Against Women in 2010.